I’ve been sitting on the new Wotancraft Commanderfor a while now so I’m relieved to finally get this review posted. With that in mind I felt the need to do something a little different with it in order to properly test it, you can see and read more on that later in the review. So, lets take a thorough look at the Wotancraft Commander!! The Wotancraft Commander is my first up close and personal look at their latest outer material specification and I have to say it’s very, very impressive. The W.A.L Canvas, as it’s so named is water repellant, abrasion resistant and lightweight but how does it compare to the previous material I liked so much? Firstly, as you’d perhaps expect the W.A.L canvas does have a very similar appearance to the original Waxed Canvas, this is great news to me as the visual aesthetic of these bags was always a significant factor in my appreciation of them! 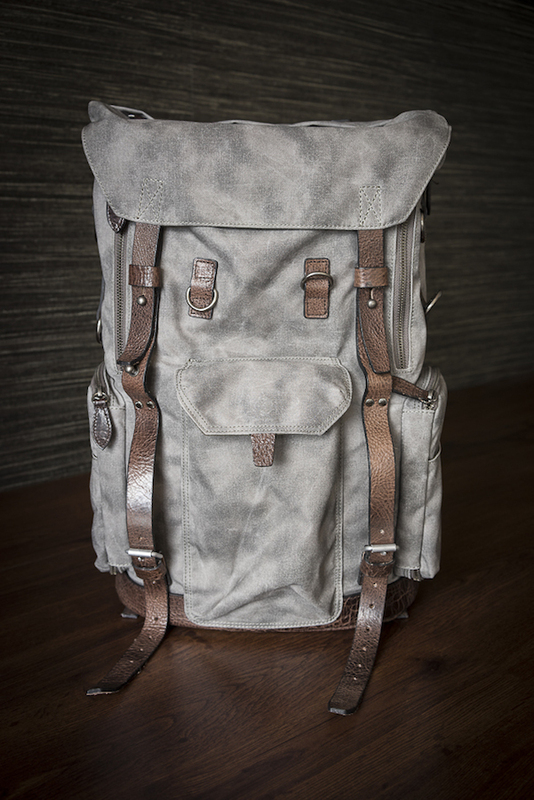 I know we’re often told that looks aren’t everything but when talking camera bags, looks really do matter…..
From a few meters away you’d struggle to see any discernible difference, on closer inspection the new W.A.L Canvas is certainly more matte, the previous waxed finish having a slight satin look. I was definitely a fan of the old waxed finish but If pushed now I’d say I prefer the visual appearance of the W.A.L canvas. Next, the water resistance, I’ve used my Wotancraft bags in some fairly inclement weather it has to be said. Water would slip off the old waxed finish no problem so it was very reassuring to see the water repellant properties of the W.A.L canvas in action and equally pleasing to see it stand up to the weather without issue. For me, there was one aspect of the old waxed canvas that was a real stand out positive, I mentioned it in my previous review of the Wotancraft City Explorer Avenger and it relates to durability. I’ve carried these bags around the world and all over New Zealand, it’s fair to say I have respected them but I certainly haven’t nursed them. Wherever I’ve been, whatever I have been doing, whichever Wotancraft bag I’ve had with me would always look as good as new when I returned, this was down to the durability of the waxed canvas!! The W.A.L canvas would certainly have it’s work cut out equalling that kind of durability and that was certainly one of the reasons I wanted to put the bag through it’s paces somewhere a little more testing. You can see my field test of the Wontancraft Commander later in this post and read my ultimate verdict on durability. “This camera bag is too light” said no photographer ever!!!! In truth, I never had an issue with the weight of the old waxed canvas, it gave unrivalled durability and performance, in turn I accepted that it wasn’t the lightest material known to man. That said, this is most definitely one aspect of the W.A.L canvas that undoubtably improves on the previous material and I suspect one of the overriding factors in the decision to switch materials. In terms of the Wotancraft Commander and the City Explorer range in general two things have shaved considerable weight off the bags, one is the W.A.L canvas, the other is the omission of the Water Proof Insert, more on that shortly. Well positioned pockets and storage along with ample "D" rings for additional flexibility. Utilising the cowhide for the bottom of the Commander is a nice touch, it really adds another level of protection. Handily placed zip pocket in the cover flap. Whenever I see a new Wotancraft bag I'm always immediately struck by the resounding quality and attention to detail, this bag is no different in that respect. Because it's handmade and not mass produced there is always the overriding feeling of uniqueness which I absolutely love. In the 3 years that I've been reviewing Wotancraft bags I think they have really established themselves as a brand whose products and service really are worthy of carrying some of your most prized possessions. It's very apparent to me that these are bags made by photographers, for photographers. The Wotancraft Commander retails at US$699 plus delivery which will vary depending on your geographical location and selected delivery method. I realise thats not exactly small change, this is however a bag that's going to last you a considerable amount of time. The Wotancraft Commander is essentially split in to two main compartments, the top compartment holds the removable, lightweight shock resistant insert complete with adjustable micro fibre dividers. In turn, the bottom has a adjustable/removable micro fibre “T” divider.It’s worth noting that the dividing zipper flap that separates top compartment from bottom can be opened up to create one large interior space if your needs require. As I mentioned a little earlier in the review the waterproof insert that's currently offered as an option with theRanger, Avenger and Scout will also be offered as an optional extra on the Commander at some point in the near future. That's great news because whilst I understand and agree with the decision to omit it as standard, the Commander strikes me as the bag most likely to see the kind of action that would necessitate a waterproof insert. Moving on, the entire internal arrangement of the Commander is very flexible and would suit a variety of photographers needs. Removal of the lightweight shock resistant insert reveals another internal pocket. If you specifically want to see how the Commander would work for a DSLR type setup you’ll get a great idea by visiting the Wotancraft Commander page - HERE. I see the DSLR type setup above as a fairly mainstream use for a backpack like the Commander, so in an effort to highlight a little more of its flexibility and to be slightly less conventional I’ve focused on using the bag in ways that suit my particular equipment and shooting habits. 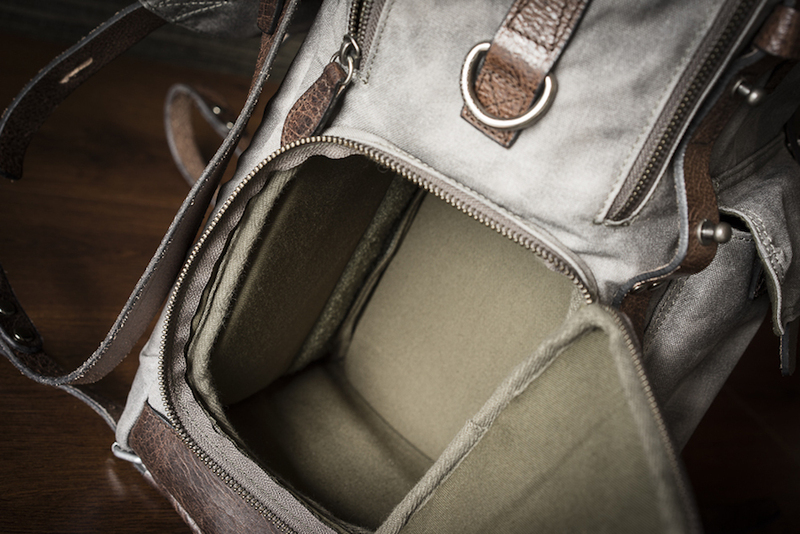 Above - "T" divider removed, creating one space in the bottom compartment of the backpack. Above - "T" divider in place, creating three separate spaces in the bottom compartment of the backpack. Taking a look at the Wotancraft Commander when it first arrived I gave some serious thought to how I might utilise it most effectively. I ultimately decided to focus a little more on the backpack aspect of the bag, resisted the urge to fill it with gear and instead decided to treat it as a daypack. It struck me that as I could fit adequate camera equipment in the top compartment and enough provisions, waterproofs etc in the bottom that the bag was perfect for long days out in remote locations. 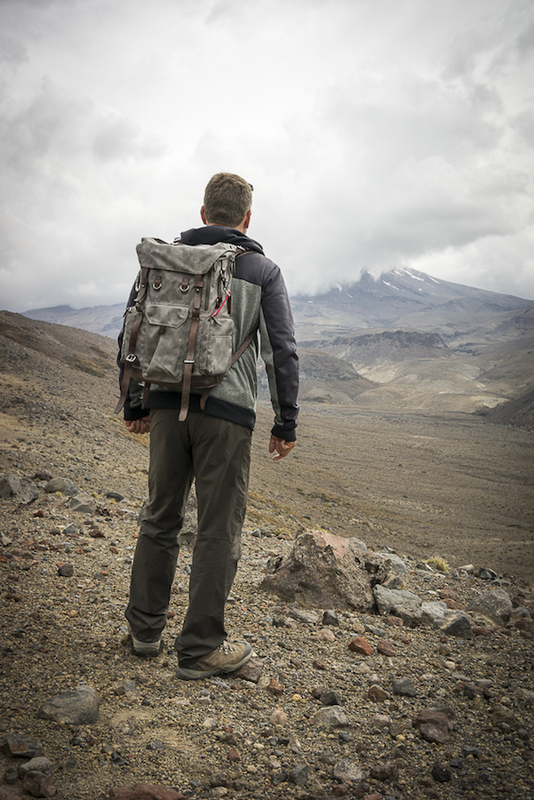 Over the shoulder bags are great for most things but once you start to be a bit more adventurous in terms of your physical actions and environment they can soon become troublesome, the Commander backpack solved that issue and left me with two free hands all of the time. The Commander can also accommodate your laptop, the zip opening is a whopping 39cm. My 13" Macbook Pro in it's Incipio case fit's in with an abundance of space to spare. Indeed, I even fitted in my ancient 15" Macbook Pro (36cm x 24.5cm x 2.5cm) with room to spare. Robust and well positioned padding will protect both your back and the laptop. The strap length is adjustable between 60cm and 87cm, offering plenty of scope for most peoples needs. Handy, easy access external pockets. High quality & attention to detail. Remember - "Believe what works"
In addition to the camera configurations above the bag is also capable of holding various accessories as indicated below. Tongariro National Park - "Field Test"
So, given that I'd made the decision to focus on the Commander as a backpack/daypack what better way to put it through its paces than to take it to Tongariro National Park. I don't often carry a tripod and whilst the 190XPROB is relatively small it's possible to get smaller and lighter options. I used the Commander's tripod straps horizontally with my Manfrotto 190XPROB & 498RC2 ball head, it was totally fine as I was for the most part in wide open spaces. It seems to me that one or two legs of the Tripod can be inserted in to the large pocket and it can be carried vertically and secured via the two "D" rings with some cord, it works fine and would definitely make things easier in more crowded spaces. A very minor point but maybe theres some potential for a small modification here? I wore the Commander backpack for three consecutive days, I should add that these were quite long days, in addition I undoubtably had more weight in the pack than most people would probably carry. The weather was fine so I only had a t-shirt on. The leather straps were rubbing on my shoulders a little by the end. To be fair I think after that amount of time any bag would be feeling a little uncomfortable, still I wonder if it is feasible to add some padding to part of those in the same way you see on a regular strap, food for thought. UPDATE - Since reporting these findings back to Wotancraft the Commander now ships with a pair of detachable pressure-alleviation shoulder pads. These are made of soft microfiber exterior and cushion padding normally used for shoes. I have to applaud Wotancraft's willingness to adapt to constructive feedback and as ever they are swift to implement potential improvements. Back to the issue of durability and what for me was the big question. Does the new W.A.L canvas match up to the excellent durability of the previously used waxed canvas? Well looking very closely at the Wotancraft Commander after returning form my trip I'd have to conclude wholeheartedly that indeed it does! To be frank, I could put this Commander back in the cotton dustproof bag it ships in and tell you it's new, you'd have no reason to doubt it. In essence the W.A.L canvas has all the benefits of the waxed canvas but with one very major advantage, it got considerably lighter, that's a real result!! If your photography takes you off the beaten track, this may be the backpack for you, if your photography takes you places where it's not always possible to stop at a cafe for lunch then once again, seriously consider this backpack. If your in the city and just want to be a little bit more self sufficient, maybe carry some provisions a change of clothes, some waterproofs and your camera gear in one stylish backpack, then look no further than the Wotancraft Commander. So, an interesting "bag" and I have to say a little bit of an eye opener for me, I'd probably have been a touch dismissive of this design of bag a few weeks ago, certainly for my needs. Now having used the Commander extensively I can really see and appreciate it's versatility. 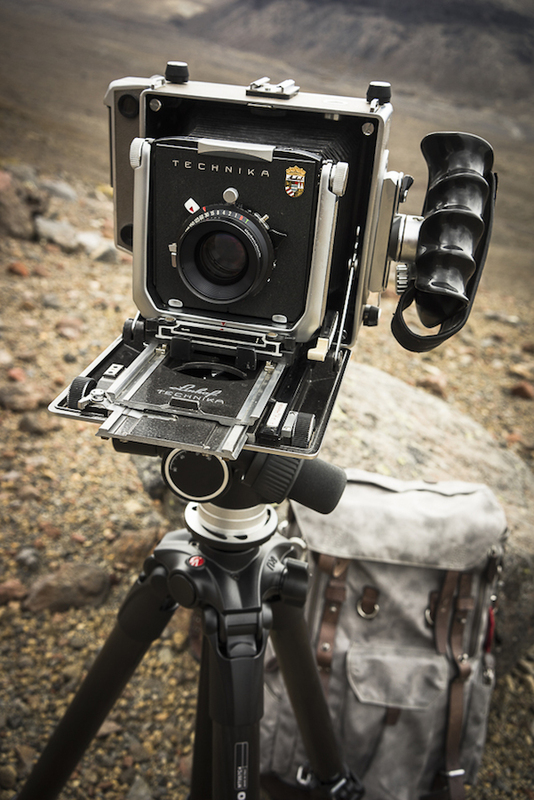 I'm pleased to see Wotancraft doing something a little different, I think it's fair to say that the market for these backpacks is probably more niche than your regular shoulder bag but that hasn't stopped them trying to cater for the specific needs of photographers, I applaud that approach. What's more Wotancraft don't just make a great end product they actually back it up with fantastic customer service, these people actually care about our opinions and I know that feedback is always welcome. I guess the search for excellence never ends. Don't forget Wotancraft also stand behind their products offering a 3-year free repair guarantee, given intended usage of the product (International shipping fee for repairs paid by sender), that's pretty impressive too. All in all another very impressive offering from Wotancraft and ultimately a very fine bag, recommended.